We are a community action group opposed to the expansion of the Warth Park industrial site in Raunds and this is a call for community support in our legal action against this development. As many of you will now be aware we have a hearing on the 31st October 2017at the Royal Courts of Justice (RCJ) in London. Welcome to the Stop Warth Park Crowdfunding page! 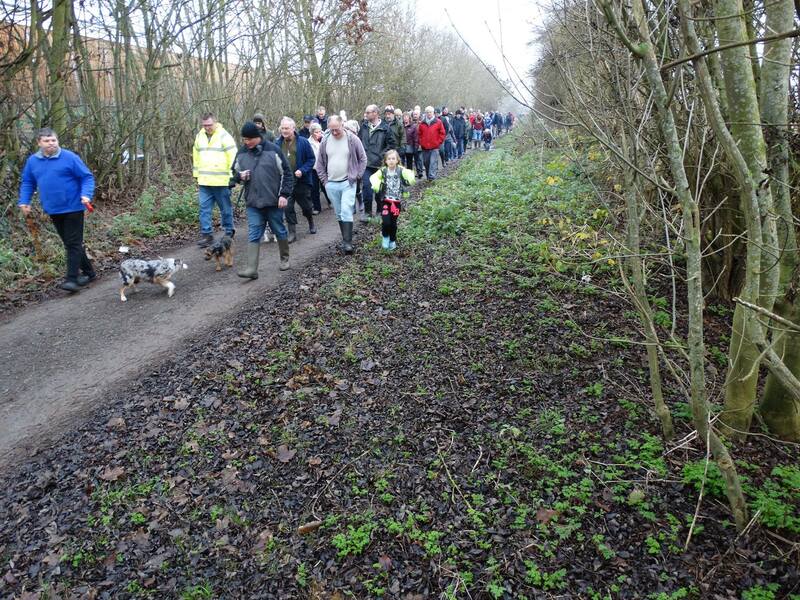 This Crowdjustice page has been set up to raise the funds towards the legal challenge to East Northants Council's grant of planning permission for further industrial development on the Warth Park site in Raunds; resulting in a total loss of OVER 150 ACRES of historical open space. We are a committed community group with support, so far, from over 500 residents who share firm opposition to the latest phase of industrial development on the Warth Park Complex and adamantly object to the increased rate of erosion to our beautiful and historic rural areas. The proposed expansion of the Warth Park has galvanised a community not scared to take a stand against the large and well funded developers and say "enough is enough". We have had our fair share of industrial development and we do not want any more. Plainly put! This is our local area, we all have a right to enjoy it and we will not allow it to be destroyed of the back of ILLEGAL decisions made by East Northamptonshire Council. On 29th March 2017 the East Northamptonshire Council Development Management Committee chose to approve the plans for phase three of Warth Park, the huge industrial complex overlooking the town of Raunds and village of Stanwick. This decision was made despite both Raunds and Stanwick Councils voting against the plans, the plans directly contravening the finalised draft of the Raunds Neighbourhood Plan, a large number of private objections, a well organised and vocal opposition group and a petition presented in the House of Commons backed by the local MP. He says: "The Council was clearly worried about the status of the draft Raunds Neighbourhood Plan which has the area that would be taken by the expanded Warth Park designated as “protected open space|”. It made the mistake, based it seems on incorrect advice from its lawyers, that this meant there had to be public access: for the area to be made into a sort of park. That was quite wrong. The area was simply to be protected as open countryside. As for the possibility of appeal it is quite wrong for councillors to be influenced in the way they were here"
As you can imagine Judicial Review cases do not come cheap and we need to raise sufficient funds throughout these legal proceedings to achieve our goal of having the grant of planning permission overturned. Fortunately, we have already raised over £1,000. in less than two weeks through the kind generosity of a few very generous and committed supporters; but we now need the help and support of the wider community to raise further funds for this cause. We are also seeking Legal Aid funding to cover a percentage of the costs. 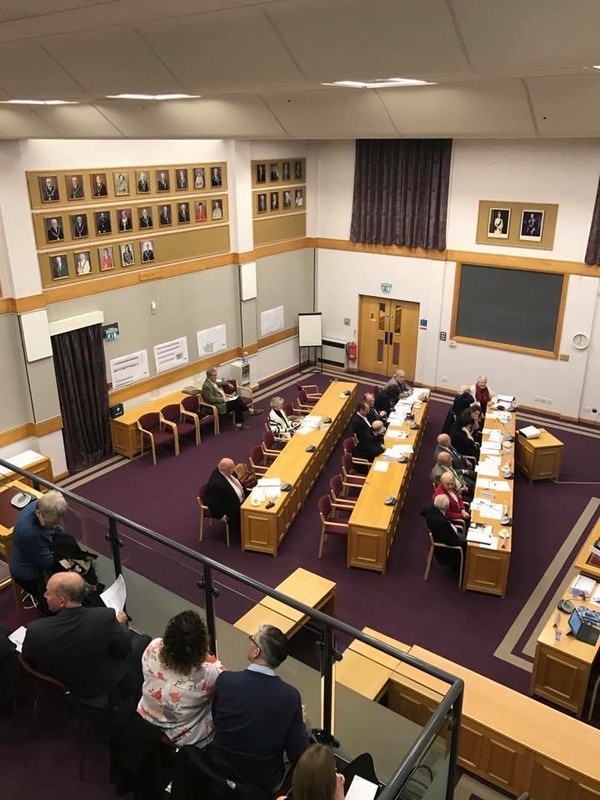 However, as this review will be seen to have a wider benefit on many others in the local area, what is known as a "community contribution" will need to be made. This contribution could still be substantial given the numbers in the wider community who would likely benefit from this review. We have therefore initially set our self the target of raising £6,000 with a stretch to £10,000. Of course, it is worth remembering that if we win we will look to recoup these costs from the other side and should we lose, if we obtain the legal aid funding, that will protect us from paying the other side's costs. This is now the ONLY way to have that decision for planning permission overturned;. Don't allow your previous objections to go to waste! This case has a real prospect of success and it would be tragic to lose hope at this final stage of the process. The views of the local people, our Parish and Town Councils and our Neighbourhood Plan have all been disregarded in favour of the commercial interests of one outside property developer. Your local publicly paid officials have been shown (through the disclosure of email correspondence) actively supporting and advocating on behalf of the commercial property developer; showing neither the levels of impartiality nor procedural fairness expected of those who hold public office. This is the first stage that has be actively underway for the past couple of weeks. It has been funded by a few key supporters and their generosity has been greatly appreciated as it has allowed us to have the Council's conduct in making this planning decision reviewed by our lawyers. This is the stage that we have got to as of Monday 19th June 2017. Once the Court has issued our claim (usually in the next few days) we will then have to serve notice of our claim upon the Council and the developer. The Council and developers are allowed to say why our claim is wrong, and then the Court will consider the case and merits of the competing arguments on paper (there can be a hearing) and decide whether or not to give permission for the review. If permission is granted by the Court to proceed, a hearing date will be set to have the planning decision reviewed by a High Court Judge. If we are successful then East Northants Council's decision to grant planning permission will be quashed (overturned). The upshot to all this is that no one person can do this alone and only by pulling together our joint resources, motivation and commitment will we bring this particular developer to heal, hold East Northamptonshire Council to account and protect our open countryside for the current community of today and future generations to come. 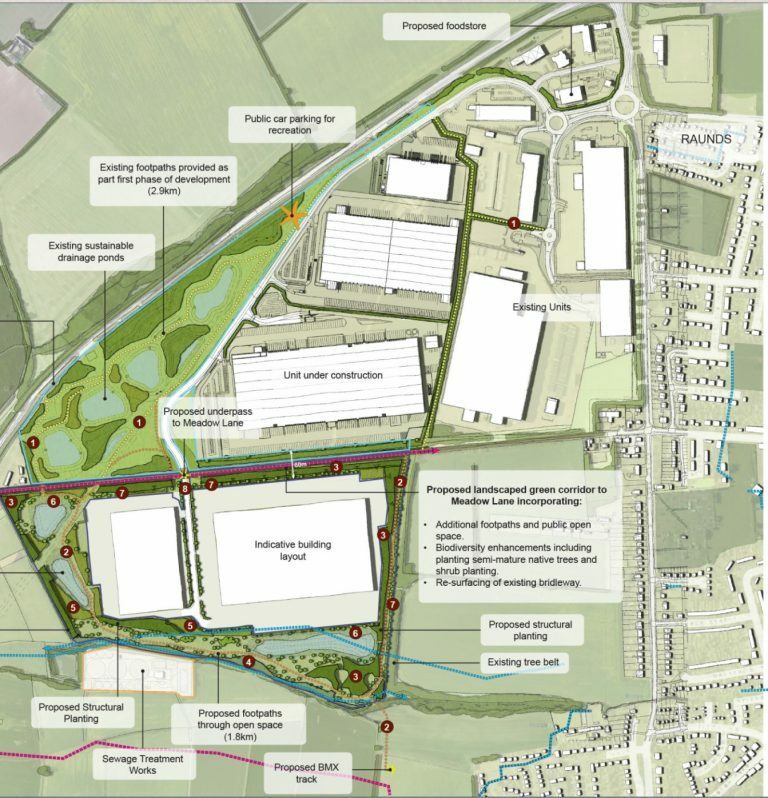 The future expansion of the Warth Park industrial estate in Raunds would dramatically increase the size of the complex to an overall size of nearly 190 acres. Many local residents have major concerns about the impact of this extension on the rural environment, the increased and continuous industrial noise, air pollution from vehicle movements, congestion on already busy roads and much more. The developer, Roxhill plans for the expanded Warth Park to become almost as big as the town of Raunds itself, the rural landscape would be forever scared by flat tarmac parking and vehicle access areas together with huge modern distribution buildings. The visual impact on the Raunds and Stanwick residential areas would be dramatic, with the harsh new buildings set to dominate the Nene Valley. These buildings would also encroach upon and be in plain sight of the popular country park at Stanwick Lakes. The increased vehicle parking areas would certainly create problems such as potential flood risks during periods of heavy rain, with the existing paths around Warth Park and Meadow Lane already becoming waterlogged. The proposed expansion of the Warth Park industrial estate in Raunds would permanently deface the countryside and rural scenery previously enjoyed by generations of Raunds and Stanwick residents. 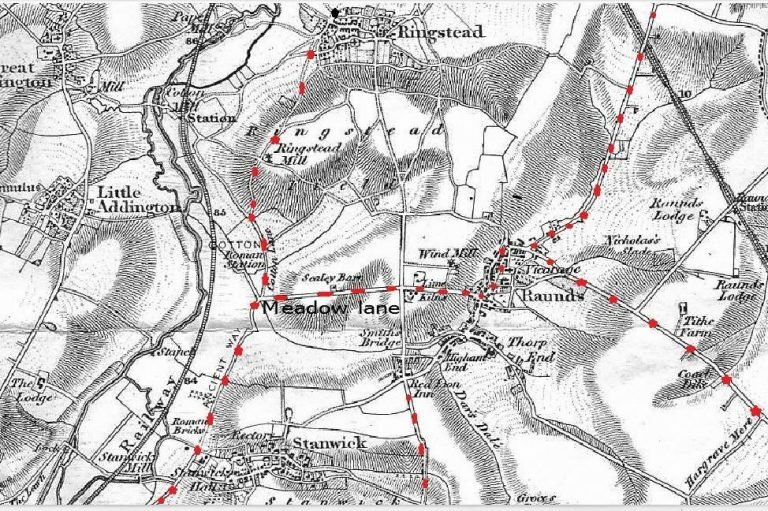 Meadow Lane and the grassy area at the end of the lane towards Stanwick Lakes date back to medieval times, the lane itself was used as a route from Raunds to the surrounding villages. These ancient road and green space between Raunds and Stanwick Lakes could be lost to tarmac parking spaces and metal distribution centres. ENC are wrecking views for miles around. Shame on our councillors! This hearing is to determine our application for permission to bring a full Judicial Review of East Northamptonshire Council's decision to grant planning permission. Up until now this application has only been considered by a Judge on the papers alone, that is to say, without an attended hearing in open Court. On that first occasion the Judge refused our application for permission, however, having taken advice from counsel (barrister) and solicitors it was decided that there are still strong legal grounds to have this decision reconsidered at an attended hearing down in London. In addition, new evidence in the form of the Planning Inspector's Report undertaken for the Raunds Neighbourhood Plan has given rise to further errors of law that have only strengthened our case. The application was therefore "renewed" and the hearing date of the 31st of October 2017 set. Of course, if you felt able to pledge again then that would be supremely generous of you. We have set the target of £3,000 which will cover the costs of the Court hearing and is still within our original stretch target amount set at the beginning of the campaign. The hearing will be held in public at the RCJ at the below address and you are more than welcome to attend. The time the case is listed will be confirmed nearer the time. And then, as before, it all comes down to sharing your support with the rest of your friends and family. What we really need is for you to help us keep the momentum of this campaign going (to stretch target amount) by sharing it as far and wide as possible. And kindly request that they follow in your footsteps and pledge their own funds in support of the campaign.